I use a lot of USB devices and it is a real pain getting to the USB ports on my iMac because they are tucked away at the back. To save myself the hassle, I decided to buy a USB hub. 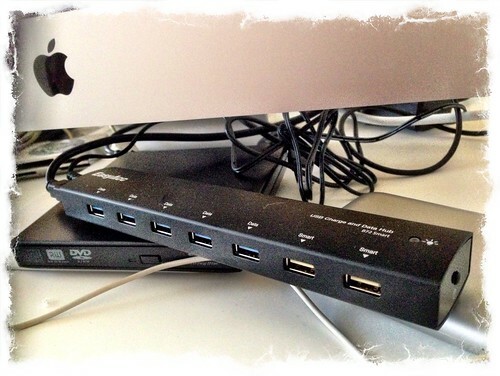 After a little research I decided upon the Easyacc® Aluminum Superspeed USB 3.0 7 Port Charging Station Hub. It had good reviews on Amazon and fitted my needs. It’s got 7 USB port, two of which are charging ports. This means I can charge both my iPhone and iPad at the same time. The build quality also seems very good and it has a power on/off button, which is useful. All in all a very handy gadget to compliment my iMac. This entry was posted in Gadgets and Tech and tagged Easyacc on September 4, 2014 by Richard.